Want to be notified of new releases in collabnix/dockerbangalore? Welcome to the Docker Bangalore Meetup Community repo! This repo aims to centralize content (Meetup presentations, slides, recorded videos, etc) curated by the community members for the Docker Bangalore Meetup Community. The main objective is to help members of the Docker Bangalore Meetup community who share similar interests to learn from & collaborate with each other during events. 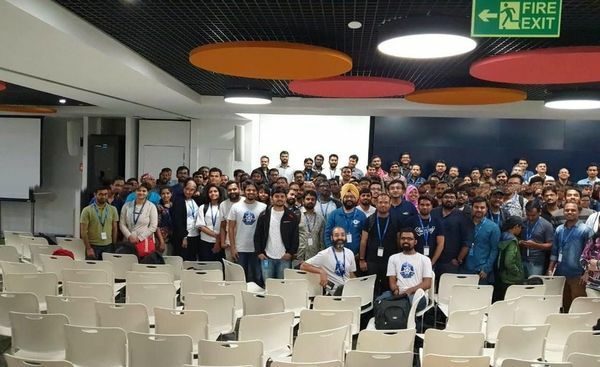 With around 7400+ community member, Docker Bangalore Meetup group is one of the largest Docker meetup group in India. With a motto of "Learn, Collaborate & Dockerize!" you get chance to meet other developers and ops engineers in your community that are using and learning about Docker. Docker is an open platform that helps you build, ship and run applications anytime and anywhere. Developers use Docker to modify code and to streamline application development, while operations gain support to quickly and flexibly respond to their changing needs. Docker ensures agility, portability and control for all your distributed apps. Visit Docker Bangalore official Community Page for registering to the Community Page. Play with Docker (PWD) is a Docker playground which allows you to try Docker and Swarm Mode in a matter of seconds. It gives you the experience of having a free Alpine Linux Virtual Machine in the cloud where you can build and run Docker containers and even create clusters with Docker features like Swarm Mode. Under the hood DIND or Docker-in-Docker is used to give the effect of multiple VMs/PCs. 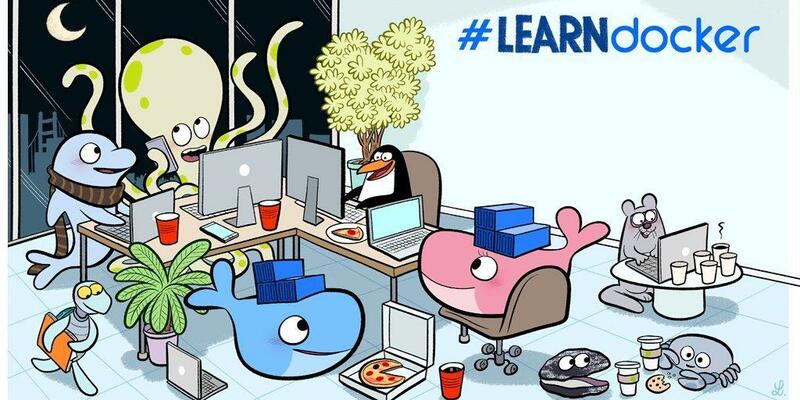 The Play with Docker classroom brings you labs and tutorials that help you get hands-on experience using Docker. In this classroom you will find a mix labs and tutorials that will help Docker users, including SysAdmins, IT Pros, and Developers. There is a mix of hands-on tutorials right in the browser, instructions on setting up and using Docker in your own environment, and resources about best practices for developing and deploying your own applications. If you want to contribute a lab, check out this GitHub repo and get started. Play with Kubernetes is a labs site provided by Docker and created by Tutorius. Play with Kubernetes is a playground which allows users to run K8s clusters in a matter of seconds. It gives the experience of having a free Alpine Linux Virtual Machine in browser. Under the hood Docker-in-Docker (DinD) is used to give the effect of multiple VMs/PCs. If you want to learn more about Kubernetes, consider the Play with Kubernetes Classroom which provides more directed learning using an integrated Play with Kubernetes commandline. The Docker Blog is a great resource to find content! We post the latest Docker news including new releases and events like DockerCon there. This is a public forum for users to discuss questions and explore current design patterns and best practices about Docker and related projects in the Docker Ecosystem. To participate, just log in with your Docker Hub account. Get the latest Docker news straight to your inbox! This weekly newsletter highlights content from the community along with the latest Docker news. Get all the info on the different Docker projects with our docs. Another great resource for finding content! Docker’s Slideshare account has slide decks from Docker presentations - you’re welcome to use and/or modify these slides when presenting to your own meetup group. Check out our YouTube page for videos of recorded talks from DockerCon, webinars and other meetups.